Publimetro: U.S. company announces the first clinical trial of a Zika virus vaccine. U.S. company announces the first clinical trial of a Zika virus vaccine. What We Know About the First Zika Vaccine Trial. A U.S. company has announced the first clinical trial of a Zika vaccine intended to prevent the virus from spreading further. Inovio Pharmaceuticals announced on Monday it will start a Phase I safety trial of their potential vaccine in the next few weeks. Here's what we know about this first vaccine candidate. How does a Phase I trial work? Inovio Pharmaceuticals has gained approval from the U.S. Food and Drug Administration to test the safety of the vaccine in 40 volunteers, according to a statement from the company. The first trial will be a Phase I trial, which means the goal is to ensure the vaccine is safe to use. The volunteers who get the vaccine will not be exposed to the Zika virus, but researchers will take note of any side effects they develop from the vaccine itself. "Small groups of people three or four or five in a group are usually [given] different doses in a vaccine," by researchers, Dr. William Schaffner, an infectious disease expert at Vanderbilt University Medical Center, told ABC News. Researchers, "then test their blood afterwards to see what their response is." This type of a vaccine uses a dead version of the virus to prime the immune system to build up a resistance and create specific proteins that target the virus. Part of the virus' DNA will be injected into the volunteers in the vaccine. If the vaccine is deemed safe to use from this early trial, it will be expanded to a Phase II trial. 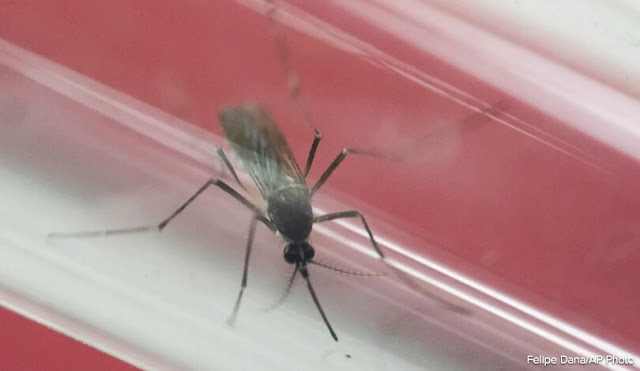 It's during the Phase II and Phase III trial that researchers will look to see if the vaccine is effective at preventing a Zika virus infection. US Olympic Committee 'Will Not' Stop Athletes From Going to Brazil. The company expects to start administering the vaccine candidate in the next few weeks. The results of this initial study will likely be known later this year. Dr. Anthony Fauci, director of the National Institute of Allergy and Infectious Diseases at the National Institute of Health, explained Monday at WTOP Radio that Phase I trial results “usually takes maybe four months or so to see if it is safe." "This is good news," Fauci said, speaking about the possibility of finding an effective and safe Zika vaccine. Schaffner explained it will likely take years before a Zika vaccine can go through the necessary testing to be fully approved. "It's still a long tunnel that we get to before we get to any vaccine and one that's safe," he explained.